He became a “legend in his own time,” famed as much for his drunken escapades and womanizing in America as for his poetry, but the poems have outlived and vastly overshadowed the public personality. The Welsh poet, Dylan Thomas, was recognized before his premature death at age 39 as one of the great poets of his generation; posthumously, he became widely appreciated as well for his fiction and other prose. His play, Under Milk Wood is still being performed. The man and the work coalesce in this film biography, the first film produced and directed by Perry Miller Adato. Thomas was noted for his dramatic powers as a reader of poetry, and it is Dylan’s extraordinary voice, taken from fine recordings, that we hear speaking the poet’s own words. And what words! 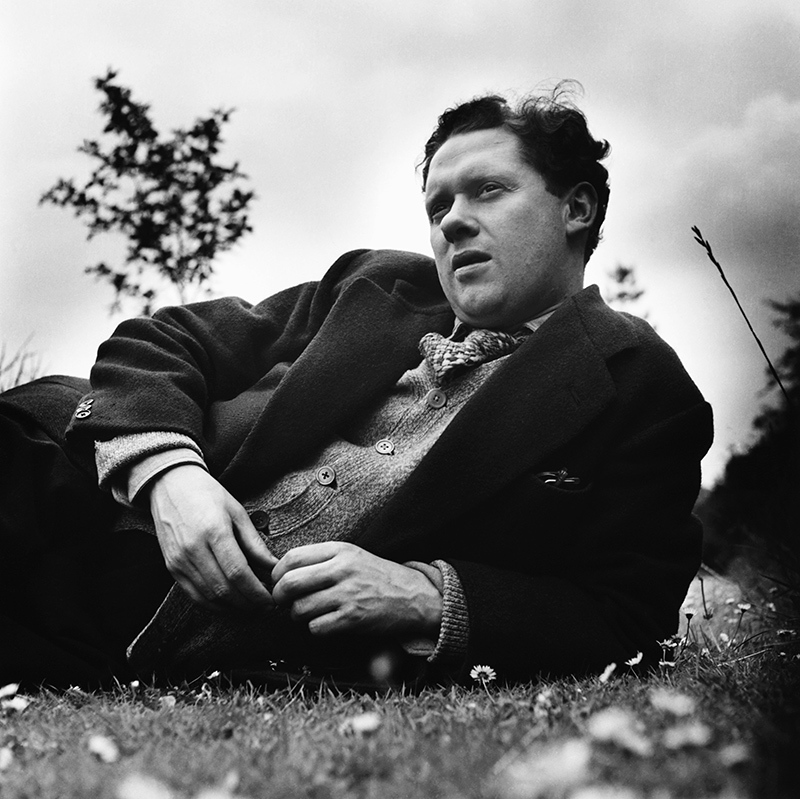 Drawn from his poetry and the moving, humorous prose reminiscences, they tell the story of his “magical” boyhood in the small Welsh sea-town of Swansea; of his youth in London where, published at the age of twenty, Dylan Thomas astonished much of literary London with his first book Eighteen Poems. He became the “boy genius” of the BBC, writing countless radio plays and essays. His poetry readings made him a household name in Great Britain. Thomas’ first romantic attachment was to the writer Pamela Hansford Johnson, (who became Lady C.P. Snow). Interviewed on-camera in London in 1968, she remembers a very young poet, a bit shy, quite different from the public “roaring boy” image that he later would carefully cultivate. She also provides a writer’s insight into his work. The young Irish beauty, Caitlin Macnamara, was introduced to Dylan Thomas at a party by painter Augustus John for whom she had posed. Instant mutual attraction led to a passionate and tumultuous marriage. It was sustained by a love that endured all trials and lasted until Thomas’ untimely death in America. To support his growing family, in 1950 the poet agreed to tour the United States, giving readings of his own poems and those of other poets. The tours were a resounding success but would wreak havoc with the poet’s health and psyche. Long months of travel in America far from Caitlin and home, celebrity and generous lecture fees combined to provide easy access to liquor, drinking companions and available women. On November 9, 1953, in New York’s Greenwich Village, Dylan Thomas died. While this documentary explores Dylan’s short, intense life, his complex, contradictory character and the places that he lived in Wales where he wrote his best poetry, the film’s core is the poems and the evocative prose. Both life and work are visualized largely through an exceptional group of intimate and sensitive photographs, shot over a twenty-year period by American photographer Rollie McKenna, who became a close friend of the Thomas family. A former colleague at the BBC is interviewed in London. In New York City, poet Robert Lowell contributes an illuminating critique of Thomas’ poetic strengths and weaknesses. He points out that the poet’s powerful imagination and obsessive love of experimentation with words and verse forms resulted in poems rhapsodic and exultant, but also in verse that is opaque, obscure and difficult. Staged in the film as a reading by a notable cast, excerpts from Thomas’ play Under Milk Wood, humorous and accessible, satirizes British middle-class foibles.